In the ongoing saga of trying to mitigate the potential problems caused by speculative execution exploits like Spectre and Meltdown (and the fixes to those fixes) Microsoft has a new Windows patch called KB4482887. That should be a good thing, as it was designed to shore up some of the performance holes created by previous mitigations of the various Spectre variants. 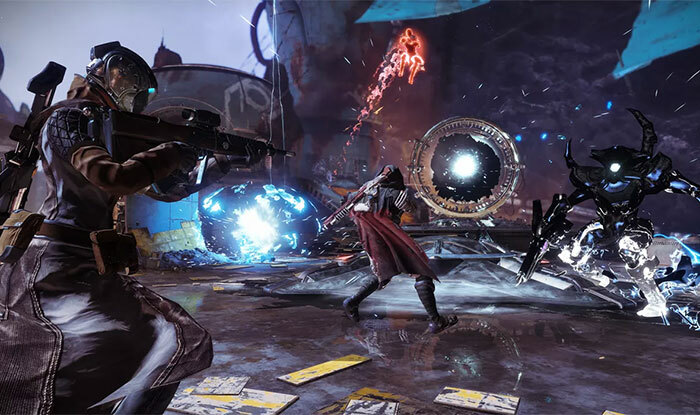 Except it isn't, because while some performance has been clawed back, there's some reports surfacing that gaming performance in certain titles, specifically Destiny 2, may be affected. "When all relevant kernel-mode binaries are compiled with retpoline, we've measured ~25% speedup in Office app launch times and up to 1.5-2x improved throughput in the Diskspd (storage) and NTttcp (networking) benchmarks on Broadwell CPUs in our lab," Microsoft said of the update in its release -- a major plus point for the update and something that office workers and frequency data transferrers will certainly notice the benefit of. However, that rosy report is spoiled by what may be some negative performance effects on certain games. "Users may notice graphics and mouse performance degradation with desktop gaming when playing certain games, such as Destiny 2," the Microsoft release continues. As reported by Hexus, Microsoft is working on a fix for this issue, but suggests that anyone impacted too negatively by the update to uninstall it for now while a patch is developed. Other problems with this update include authentication issues with Internet Explorer 11 (although you shouldn't be using that outdated browser anyway) and an error "1309" which appears when installing or uninstalling certain types of MSI and MSP files. To make things worse? I'd agree to that.. Isn't this the basic core feature of all Windows updates?